Dr.Javier Quintero, MD, Ph.D Hospital Universitario Infanta Leonor Madrid, Spain. Dr.Javier Quintero is working in Hospital Universitario Infanta Leonor · Psychiatry. 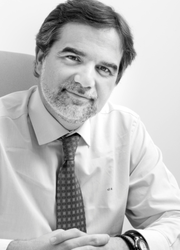 He is also the Director Psiformacion for Postgraduate Education School.He has also experience as an Associate Professor in Complutense University of Madrid · Department of Psychiatry.Dr Javier has published many articles in the field of General Practice one of which includes "Postpartum Emotional Psychopathological Outcomes". Psychiatry Child and Adult Psychiatry.